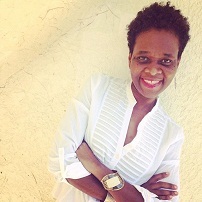 Jo-Ann is the Founder & CEO of RareBirds Zine (formerly SecretBirds). She was born and raised in St. Croix, Virgin Islands to parents from St. Kitts and Nevis. She is a graduate of American University in Washington, D.C., Cass Business School in London and Kingston University also in London. Her professional and cultural experiences span continents, having worked in North America, the Caribbean, Europe and Asia. Prior to founding RareBirds, she worked in the corporate world in the property and construction industry for a decade. Alongside having a full time career in the above mentioned, she worked as a freelance writer and later as an independent consultant to social enterprises. Jo-Ann is currently teaching and guest lecturing at various academic institutions around the globe. Additionally, she acts as a mentor, advisor and champion to various global communities. Some of these communities include the United Nations Women (UN Women) Empower Women community based in NYC, the ALL Ladies League and Women’s Economic Forum, both based in India and the Fabulous Fempreneurship community based in Canada. Jo-Ann is an avid cyclist and runner, sustainability enthusiast, faithful writer, aspiring yogi, ardent traveler and burgeoning gardener. She’s been a vegan for 23 years and counting, so when she’s not engaged in the aforementioned you can find her in the kitchen, experimenting with vegan dishes!